The attorneys at Van Sant Law understand that both state and federal laws require that nursing home facilities assume responsibility for providing adequate care for residents. By law, the nursing home must ensure that its patients’ needs are met and that the residents are not at risk of injury or death to the best of its knowledge. Unfortunately, due to problems with staff members, inadequate policies, or overstaffing, some nursing homes fail to live up to their obligations. For example, in many instances, a nursing home may neglect to provide senior citizens with the adequate hydration and nutrition that they need. Failure to provide a substantial, healthy diet can present a number of health risks for nursing home residents. Dehydration or malnutrition are often not immediately detected and can cause serious and life-threatening complications, including low blood pressure, anemia, and aggravation of pre-existing health problems such as bed sores, infections, and immune system deficiencies. As a result, nursing home residents may faint and risk falling or sustaining bone fractures because of their poor health. In extreme cases, senior citizens may pass away if they are dehydrated or extremely malnourished. Additionally, studies show that seniors who are not receiving the proper nutrients are more likely to become depressed and withdrawn from other residents. If you or someone you love has been the victim of dehydration or malnutrition in a nursing facility, it is important to seek legal counsel as soon as possible to learn more about your rights. Contact Van Sant Law today for information about holding the nursing home responsible for the harm that has been caused. Harried or rushed staff not taking the time to help seniors to eat if they need assistance. Insufficient food provided to senior citizens. Nursing homes have the responsibility to cook and prepare meals for residents. If facilities are unable to provide a balanced diet, seniors will not receive the nutrients that they need to function. Staff members failing to monitor the food consumption of their residents. Nursing home residents may have difficulty eating because of limited mobility, taste disorders, mental health issues, denture complications, or problems with swallowing. If staff members fail to take the time to ensure that their residents are eating and provide them with assistance when needed, many seniors will not be able to consume the calories and foods they need to remain healthy. In the often-vulnerable elderly population, dehydration and malnutrition can lead to several health complications. Not only do the dehydration or malnutrition need to be treated by providing senior citizens with the nutrients that they are missing, but underlying medical problems and infections that develop must also be treated as well. In some cases, nursing home residents may pass away due to a poor diet. The nursing home facility should be held responsible for the financial consequences of dehydration or malnutrition as well as the emotional stress, pain, and suffering that the neglect has caused. Additionally, should the senior citizen die from dehydration or malnutrition, his or her surviving family members may be entitled to pursue a wrongful death claim against the facility to recover damages for their loss. 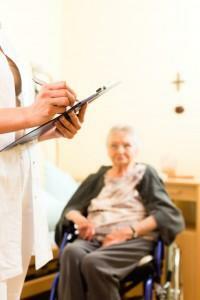 Do You Need Help from a Nursing Home Abuse Attorney? If you or someone you love has suffered from dehydration or malnutrition as a result of an abusive or neglectful nursing home, it is important to seek legal counsel from a nursing home abuse attorney as soon as possible to learn more about your legal rights. Not only will it be in your best interest to report the facility to authorities in order for an investigation to begin, but a nursing home abuse attorney can also help you to pursue a claim against the facility so that you can seek the compensation to which you may be entitled. At Van Sant Law, our Georgia nursing home abuse attorneys have experience in representing nursing home abuse victims and handling cases of neglect. Contact us today at (678) 679-6710 to schedule your free consultation and to learn more about how our firm can help you. We can put our legal expertise to work for you to help you recover the damages to which you may be entitled and obtain justice against an abusive nursing facility.